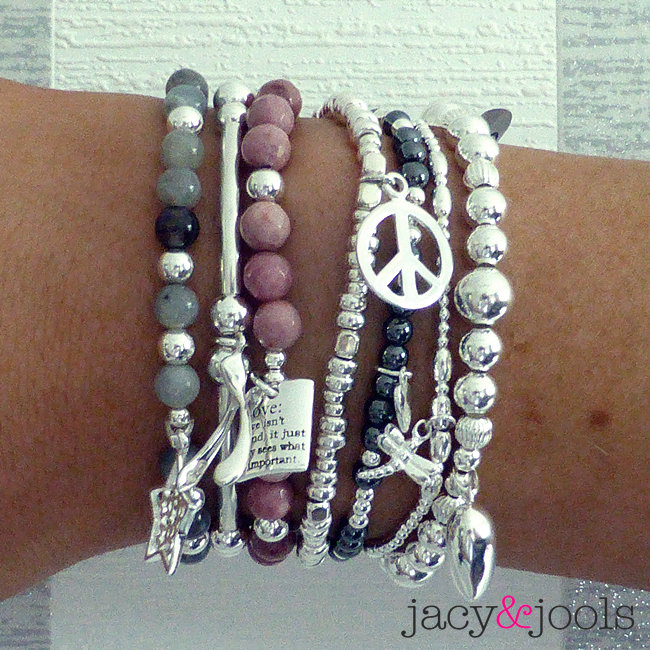 Have you taken a look at our new Moonstorm collection yet? 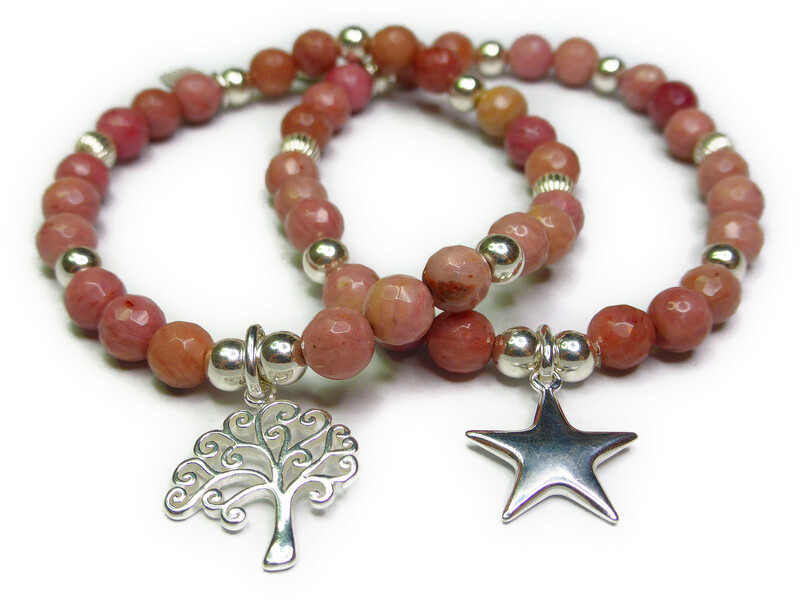 The Moonstorm collection features round and faceted labradorite and rhodonite semi-precious beads combined with sterling silver ball beads and the addition of a choice of gorgeous sterling silver charms. Rhodonite has pretty pink tones with darker flecks and is named after the Greek word for rose. It is known for balancing qualities giving love, forgiveness and peace! 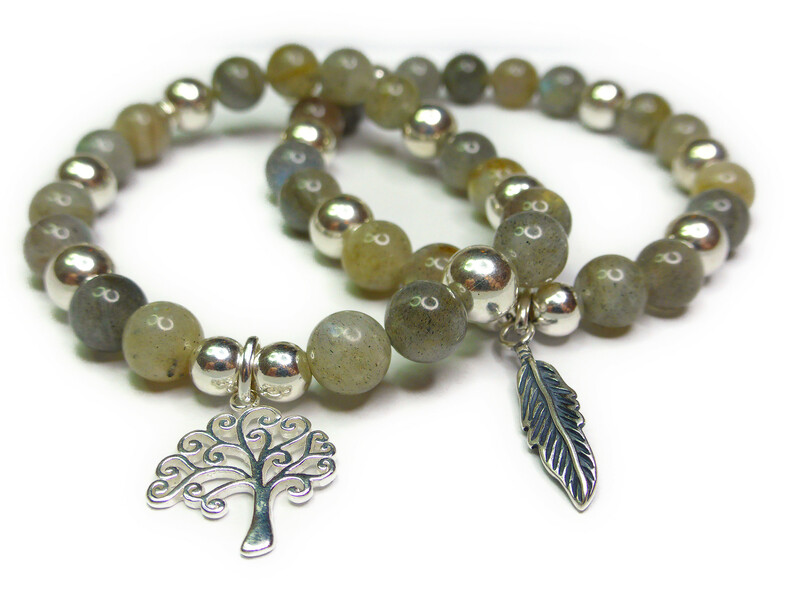 Labradorite is a stone of magic said to awaken your inner mystical abilities and psychic powers. It’s semi-translucent grey in colour with a “labradorescence” which means that as you turn the stone and the light catches you may see flashes of blue, violet, green and even orange and yellow at times!